Fourth-generation Motorola Moto X to include fingerprint scanner? Back in 2011, the Motorola ATRIX 4G came with a fingerprint scanner that doubled as the power button. It was the first smartphone to include such a feature, although such devices were not powerful enough to really take advantage of the technology as they are now. The issues with the fingerprint scanner on the ATRIX must have left a mark on Motorola, because they haven't offered a phone with one since. In fact, by the time the Motorola ATRIX 2 was launched, Motorola's little dalliance with the fingerprint scanner was over. That streak almost ended with the Nexus 6, which was supposed to have such a feature included, but it was pulled at the last minute. 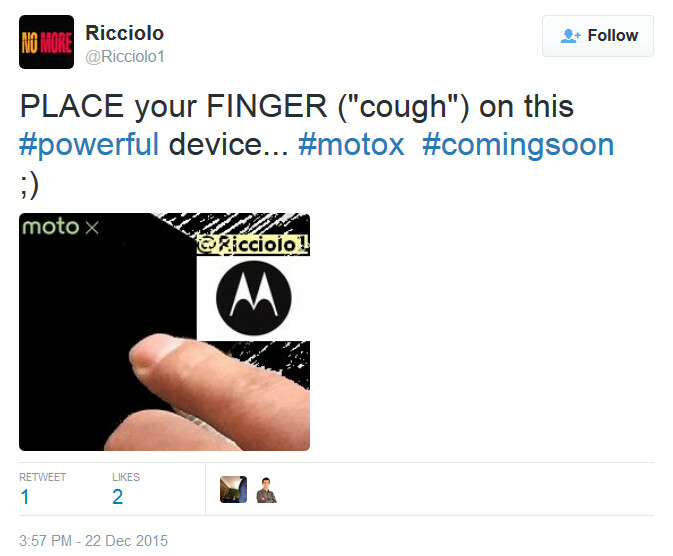 Today, a tweet from tech journalist @Ricciolo1 hinted that the fourth-generation Motorola Moto X will include a fingerprint scanner. Earlier this year, there was speculation that such a feature had been discovered on images of the third-generation phone. But as it turned out, the current version of the Moto X does not have a biometric scanner on board. Earlier today, we showed you a photograph allegedly revealing that the fourth-gen Moto X will feature a heat pipe. The report added that we should see the next iteration of the phone launched during the second quarter of 2016. If @Ricciolo1 is correct, that is when Motorola will try again to equip one of its phones with a fingerprint scanner. And this time there is no reason why it shouldn't work smoothly, and be a useful tool for Motorola users. Let's hope they keep the ball rolling after they finally released a good device with the MXPE. Motorola is just another stupid company that wants to copy Apple's revolutionary, legendary and innovative Touch ID. Hello BobbyBuster. Apple is just another stupid company trying to copy Motorola's voice activated Google Now. iPhone users finally got it this year while Motorola had it two years prior. Also, Motorola beat them to the punch with a finger print scanner. Your argument is flawed. Try again. Do you read the stuff you comment? It does not make any difference which company used fingerprint first or voice command first. What matters is who is providing these features in a better way and in less price. Finally this stopped me getting a Motorola this year I stayed with nexus. i still have a motorola atrix 4G! that thing was pretty high end when it released. it had that docking stations that connected to the tv and also the lapdock which was powered by the phone. i got the dock and lapdock when they firesaled everything for dirt cheap. i of course haven't used the Atrix 4G in ages, but do respect the innovation for its time. i didn't actually like the fingerprint scanner concept and still don't to this day. 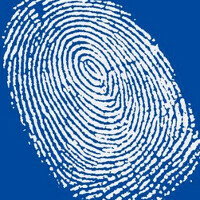 the web has enough personal info, it doesn't need my fingerprint data as well. Since Motorola was purchased by Google they tend to only integrate technology that is supported by the OS on its base level. That's my guess as to why they don't have any products on the market right now with a fingerprint scanners and they were all released/made before it was natively supported in marshmallow. Yeah, about that... Google doesn't own them any longer... Lenovo bought Moto about a year ago..